Last year Lenovo introduced a new series in it's mid range mobile segment that is vibe series. 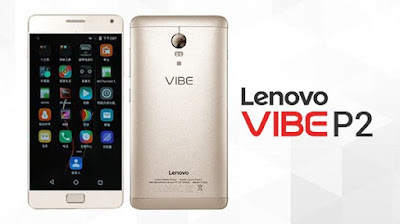 In this series company launched a smartphone Lenovo Vibe P1. This smartphone didn't get much success due to it's lot of shortcomings. This time company has launched successor to this, Lenovo P2. This is also launched in mid range segment. The company is saying that this smartphone is much better than Lenovo P1. This smartphone is gaining much popularity due to it's massive battery and it's really fast charging. This comes with 5100 mah of battery which is really exceptional in this price segment. The smartphone is also powered by Snapdragon 625 which further increases the battery life of the device. The phone has two versions that are 3GB RAM and 4 GB RAM. Both of these have 32GB of internal storage. The 3GB RAM model is priced at 17000 INR and the 4GB RAM model is priced at 18000 INR. Let's see whether it is a good buy at this price. Lenovo P2 has the same design as we have seen in many of the smartphones in this price segment. It has that metal back with plastic strips at top and bottom to hide the antenna lines. The metal used is aluminum. We have seen this kind of design in many of the phones. The phone is rectangular in shape. It also has chamfered edges which looks really good. On front it has 5.5 inch IPS LCD screen. Above the screen there is secondary camera, LED notification light and couple of sensors. At bottom it has home key which also doubles as fingerprint sensor. On left side of the phone there is SIM tray which can accept either two nano SIM's or One SIM and other Micro SD card. Below this SIM tray it has one tiny key which acts as a switch between power saving mode and normal mode. On right side it has Power on/off button and volume rockers. On top it has 3.5 mm jack and secondary noise cancellation. On bottom it has USB port, microphone and speaker. At back it has Primary camera, LED flash and Lenovo branding. This design of the phone is really common theses days. But the phone looks premium due to it's metal build. 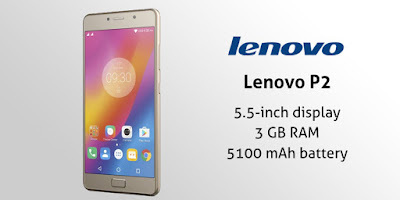 Lenovo P2 is powered by Qualcomm's Snapdragon 625 processor. This processor got really famous this year due to it's power efficiency and good performance. Actually this chipset is build on 14nm architecture that's why it is really power efficient. 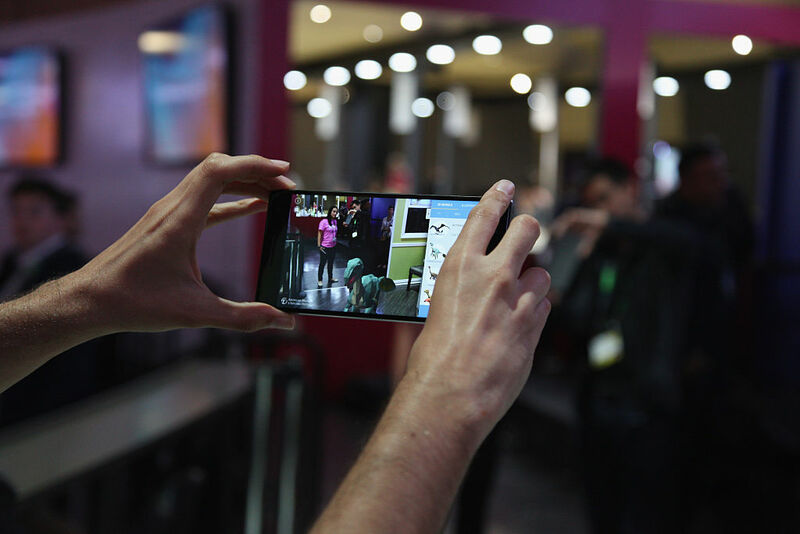 So the performance of the smartphone will also be really good by seeing the processor used. But it totally depends on optimisation between the hardware and the software which tells about the performance of the device for a end user. Display used in this device is an AMOLED display which is protected by Corning Gorilla Glass 3. The resolution of this display is full HD that is 1080p. This phone is having 401 pixel per inch which is really good. Lenovo has actually used Samsung's AMOLED display for the device. All of us know that Samsung makes very good displays, so probably the display used is really good one. The user interface of the device is Lenovo's own custom UI. The UI is very close to stock android. The User interface is a light version of Lenovo's UI so it is also very good. It comes with Android Launcher which is built in. But we can also switch to the Vibe Launcher according to our choice. The device come equipped with non removable 5100 mah battery. The battery life of this device will be insane. As this device has Snapdragon 625 chipset the battery life of the device will be really awesome. 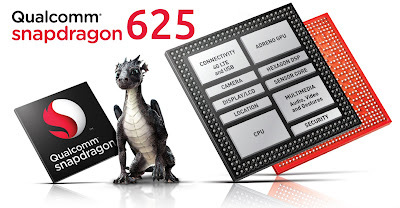 Actually Snapdragon 625 chipset is build on 14nm architecture which is really power efficient. Not only this the phone also charges very fast as it comes with a custom charger in the box. This charger can charge the phone fully in 2 to 2.5 hours. So this is really fast considering the massive battery. Lenovo is claiming that with charge of only 10 minutes the device's battery can easily last for 10 hours. This device can also act like a power bank and can charge another phone by connecting with a cable. Performance of camera on Lenovo P1 was not good, it was pretty average. So we are expecting an improvement in camera department. Seeing the specs both of these have 13 MP rear camera. But Lenovo P1's rear camera is having an aperure size of f/2.2 while Lenovo P2's rear camera is having aperture size of f/2.0. As Lenovo P2 rear camera has larger aperture so it will allow more light to enter the camera. So this will improve the image quality particularly in low lightening conditions. Lenovo P1's rear camera can shoot videos only upto full HD while Lenovo P2's rear camera can also shoot 4K videos. While there is no improvement in specs of secondary camera. But these are only specs nothing can be said about the real performance of the camera without actually using the device. But on paper there is improvement in the camera. 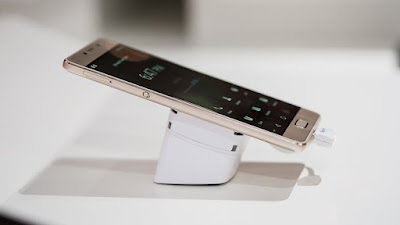 Lenovo P2 is equipped with just single speaker which is at the bottom. It also doesn't have that Dolby Atmos functionality. It is really confusing on Lenovo's part that it is powering Dolby Atmos technology in a device which costs 7000 INR and on the other hand it is not using this technology in a device which costs 17000 INR. Dolby Atmos not only improves the sound output via speakers but it also improves the sound output via headphone jack. So it is really important. This device is available at Flipkart at 17000 INR for 3GB RAM model and at 18000 INR for 4GB RAM model. 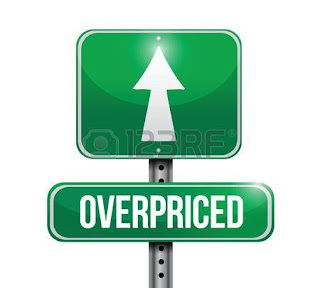 At this price i think it is not a good buy. It doesn't mean that this phone is bad, the phone is good but it is not value for money. I know that it comes with fast processor but Redmi note 4 which also get launched last month has the same processor that is Snapdragon 625 and is priced much less than Lenovo P2. 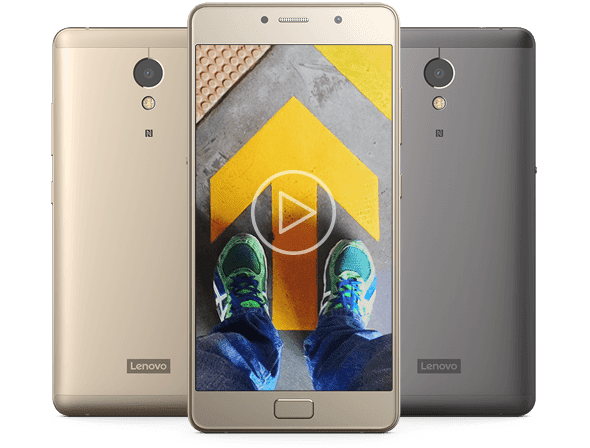 Lenovo P2 also has better display than Redmi Note 4 but it doesn't matter a lot. 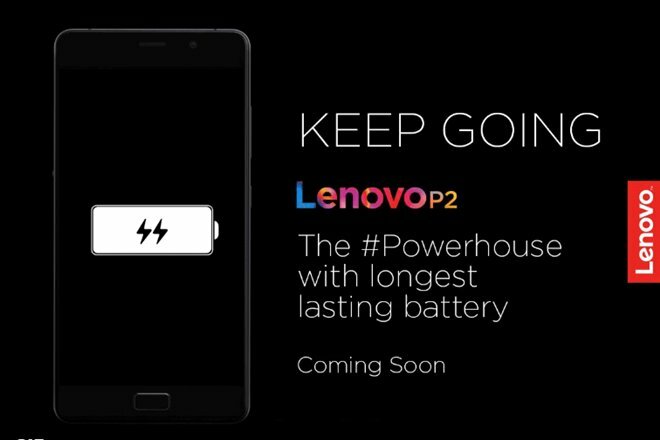 We know that Lenovo P2 has a insane battery life which can last for 3 days as claimed by the company. But in real life do we really need a 3 days battery life, it may be really good for some users and for many it doesn't matter a lot. Heavy users will be happy from this but it may not for moderate users. So spending 18000 INR for this phone is not cool. Instead of this you can simply go for Lenovo Z2 Plus whose 4 GB RAM model is available at 17500 INR which is a really good choice as this has Snapdragon 820 chipset which is found in flagships only. Or you can simply go for Redmi Note 4 which can give you same experience as Lenovo P2.